Diamond Earrings Diamond earrings are timeless and a "must have". Every girl deserves to own at least one pair. 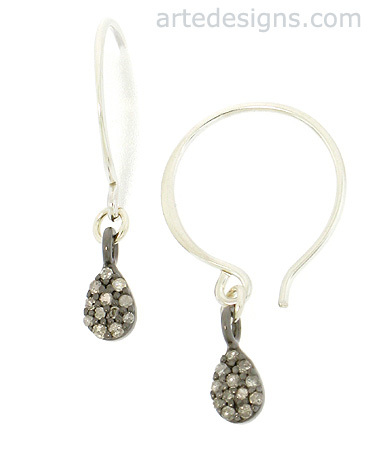 Cute little diamonds sparkle as they dangle under sterling silver circle ear wires. Every girl deserves some diamonds. Approximately 1 inch long. Arte Designs diamond earrings are unique and give off just enough sparkle to make the wearer feel elegant and special. These diamond earrings include rough diamonds in their raw, natural form and small diamonds set in sterling silver.